good and friendly staff, good breakfast in just £3. I was impressed by the excellent work the cleaning stuff does. Location is great. 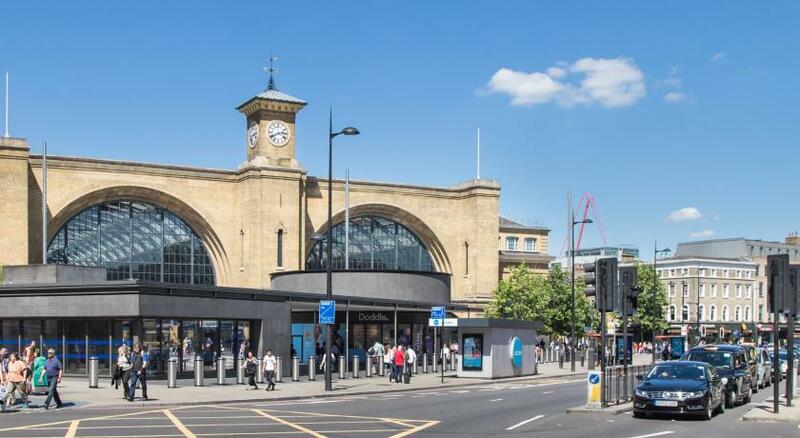 You can walk to Kingcross station in a few mins. A great value hotel for a short stay. 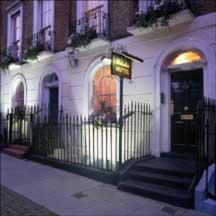 Really lovely staff who were very accomodating. 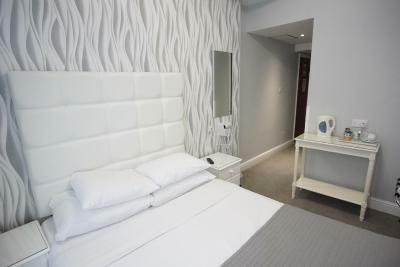 The rooms are small, but functional and clean throughout. 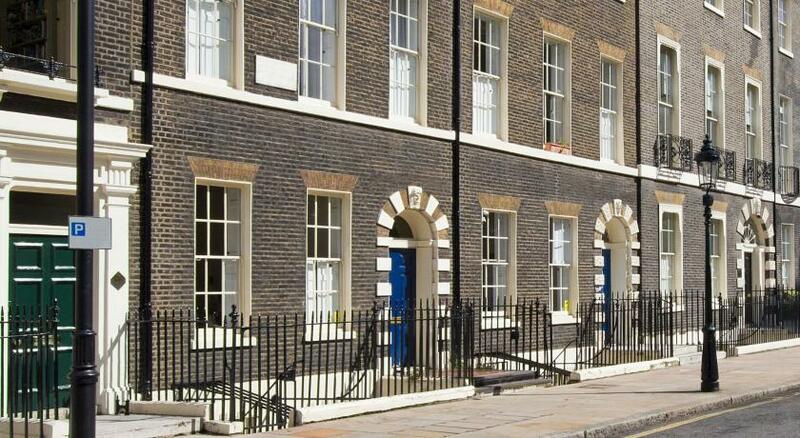 Excellent location in Clerkenwell and near Kings Cross so easily accessible from Heathrow. Minimal facilities. The bed after I upgraded to premium doubles was fine, the bed in the single room was horrible. 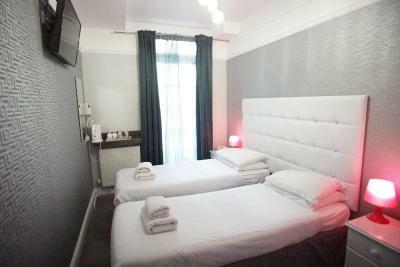 Lovely staff, great location, good value compared to other prices nearby, shower was fine. The rooms themselves were actually fairly nice. They were nothing like I expected walking down the hallways to get to them. The best thing about the hotel though was the staff, we got put in the wrong room our first night, they upgraded us the next morning and were just very helpful and courteous with all the small requests we had for my daughter. Swinton Hotel This rating is a reflection of how the property compares to the industry standard when it comes to price, facilities and services available. It's based on a self-evaluation by the property. Use this rating to help choose your stay! One of our best sellers in London! Located less than 1,650 feet from King's Cross St Pancras Railway Station and its Eurostar train services, the Swinton Hotel offers free WiFi and comfortable, cozy rooms. 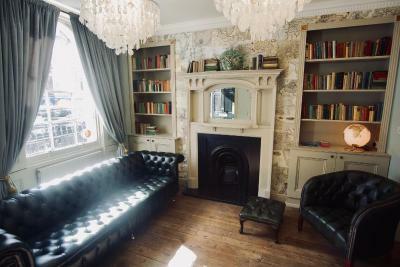 The Swinton Hotel has a convenient location for central London, with the shops, bars and theaters of the West End just a 5-minute journey by Tube from Kings Cross Station. 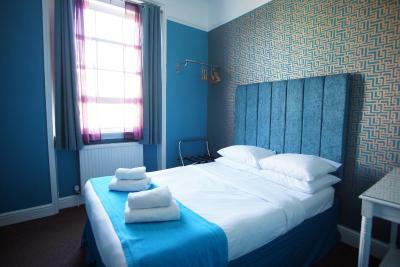 All rooms have showers or baths, along with TVs, telephones and tea/coffee making facilities. Selected rooms have direct access to the garden. The hotel has a 24-hour reception desk, a secluded garden and a elevator for access to rooms on the upper floors. A continental breakfast is available every day and is provided in the dining room, which leads out to the garden. 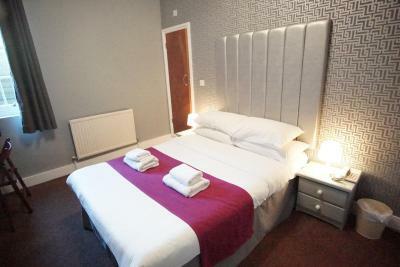 When would you like to stay at Swinton Hotel? 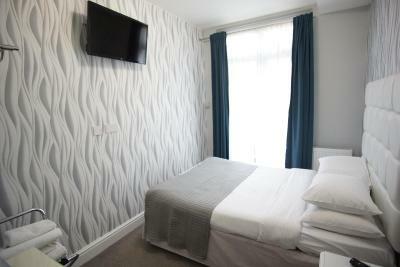 This twin room features an electric teakettle and tea/coffee-making facilities. House Rules Swinton Hotel takes special requests – add in the next step! Swinton Hotel accepts these cards and reserves the right to temporarily hold an amount prior to arrival. A nice place with good location. my room was clean but didn't like the paint peeling off the walls, the stains or obvious problems with damp at the base of the walls. The bed was a truckle bed not a divan style. Worn carpet on the stairs, beige marked walls in the corridor. Bedroom reminded me of my student days back in the 60s. View from the room was pretty bad. It was a brick wall in the basement. One staff member was wonderful - really friendly and really welcoming. The other was absolutely awful (he was a white dude). He couldn't have been more rude or aggressive about their ridiculous way of storing guests luggage for the day. He raised his voice, showed us so much attitude and I just got the impression that he hated his job and every single guest that walked through the door. Facilities were scarce. The chest of drawers was falling apart. Nowhere to put toothbrush/toothpaste/other products in bathroom. Rooms were crazy bare and far too warm despite heating not being on. One member of staff was friendly. Beds were comfy. Proximity to St Pancras was good. Decoration tired and shabby, beds and pillows hard and uncomfortable, broken electrical box on wall, one night was enough. Room was clean and comfy enough for purpose, but was right next to emergency exit which was used by very loud users all night long. Couldn’t use kettle as it had so much lime scale in the bottom. 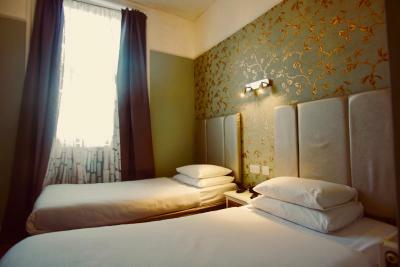 Provided with clean towels, good location near train stations. Clothes hanging facility out of my reach! There is a lot of renovation going on, which is needed had to climb over workmanship tools to go up the stairs and be carful of loose carpet. we did not use the lift but it is an old service style lift... a bit scary! 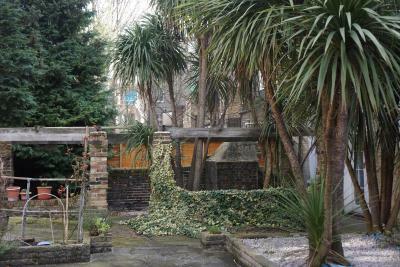 The location of the property, we needed a place to stay before an early morning Eurostar trip. The breakfast was OK, toast and jam cereal or croissants. Friendly staff on reception, pay on arrival. The shower/toilet were a bit too interconnected for me and the stairs were a bit tricky to manage. I liked the location and the friendly staff. The room was OK and it was no frills but that is what I paid for. The hotel is in poor condition. Paint was peeling off many of the walls, the stairs had no carpet on them - showing bare chipboard instead - and it generally had a dilapidated feel to it. Wi-fi was very slow.